Mother of two Kendra Halliday earned her degree knowing there’s always a way to succeed. Seated at a high-top table in the lounge of Annenberg Hall, senior journalism major Kendra Halliday, 22, recounted her time at Temple as a college-age mom to two daughters: 2-year-old Kayliana and 1-year-old Kapri. 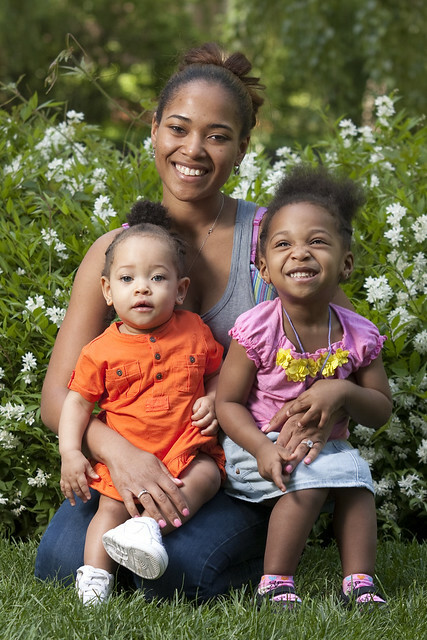 Her mother, a Temple alumna, also became pregnant while she was attending school. Halliday said she knew a Temple graduation would be in her future from an early age. Halliday said the main struggle she faced juggling college work with motherhood was learning how to balance time equally among her priorities. Halliday pursued a degree in broadcast journalism. During her years at West Catholic High School in Southwest Philadelphia, Halliday anchored the school’s morning news show. While at Temple, she completed an internship with WRTI-FM 90.1, where she conducted and transcribed interviews among other duties. Halliday is working on launching her own website called, IM SWAG, which stands for Saved With Abundant Grace, by next fall. “I want to create a website where young people can freely express their religion and stay up-to-date with current trends in a respectable way,” Halliday said. Halliday said she was inspired to start a website after completing an entrepreneurial journalism course. Simultaneously going to school and being a mother isn’t an easy thing to do, but with her kids in day care, a strong support team by her side and her relentless motivation, Halliday succeeded in accomplishing her goals. Halliday and Franklin plan to get married after Halliday’s graduation. “My advice to other moms in school is to be strong, always stay focused and remember that you have other people depending on you now,” Halliday said. Sarah Scarpa can be reached at sarah.scarpa@temple.edu.